The City of Racine Fire Department is a dedicated team of fire service professionals and we are proud to serve the citizens of Racine. Through teamwork, training, and communications we provide fire protection services, fire prevention and inspection services, basic and advanced life support services, and public education services. We are a high quality, cost effective service provider to our citizens. Establish roles and expectations for others to follow. The core values that guide our every action include teamwork, safety, and citizen satisfaction. This fall the Racine Community Foundation (RCF) graciously provided financial support to the Racine Fire Department for the purchase of a Utility All Terrain Vehicle (UTV) to be used for special events where access by conventional fire apparatus or rescue squads is difficult and challenging. The all wheel drive UTV will be capable of traversing rough, soft and uneven terrain and will be capable of transporting injured patients to a staging area for transport by rescue squad. The UTV is in the process of being ordered and outfitted with warning lights, two way radios and compartments for emergency equipment. 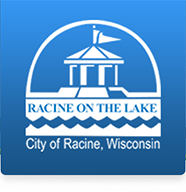 Our deepest and sincere appreciation to the Racine Community Foundation for their support in this life saving initiative. RAFD contact for the UTV project is Lieutenant Mike DeGarmo.